Thanks for visiting my home page! 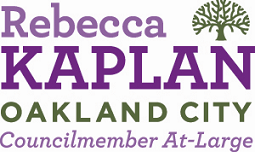 It is an honor to represent the entire City of Oakland on the City Council as your Councilmember At-Large. I work hard to ensure that each of my 400,000 constituents are well-served with energetic and effective leadership – and I hope you’ll use this site to interact with me on a variety of issues as we work to create jobs and grow our local economy, fight for safer neighborhoods and work to build a vibrant and exciting city. Please click here for the November 27, 2016 Kaplan update : Councilmember Kaplan spends a week at Standing Rock, North Dakota, helping to support the tribes and allies oppose the Dakota Access Pipeline.